VM-550/VM-560 Line Locator | M.J. Friedl & Associates, Inc. The VM-550 pipe and cable locator is general purpose locators used to detect buried pipe and cable services in a variety of situations. The VM-550 has achieved a compact and lightweight design without compromising strength and performance. 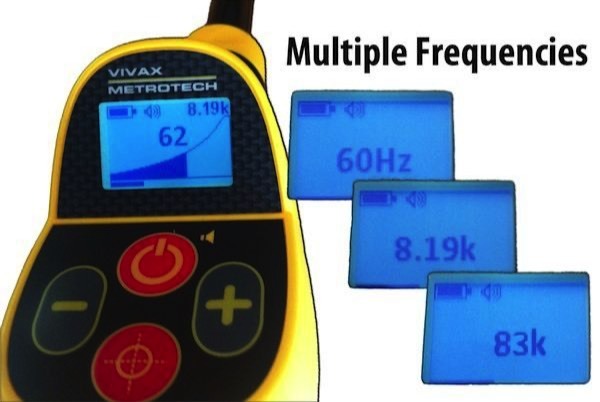 With a choice of passive power locating and active 8kHz and 83kHz frequencies the VM-550 is designed to meet the requirements of those wishing to detect the presence of active power cables and also wishing to trace short ranges. 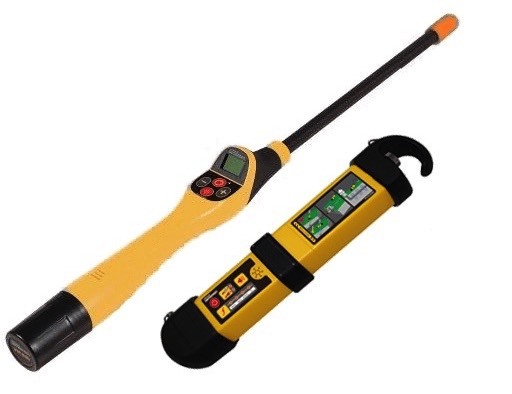 It is particularly useful in helping to detect and trace short distance drop wires. The VM-550 transmitter can supply a very useful 1 watt signal power. Signal application can be either direct connection or, if there is no access point, Induction. With the addition of the optional signal clamp the VM-550 transmitter can be applied to the target line no matter what the situation. One touch gain control with manual increments. The VM-560 pipe and cable locator is a general purpose locators used to detect buried pipe and cable services in a variety of situations. The VM-560 has achieved a compact and lightweight design without compromising strength and performance. With a choice of passive power locating and active 8.19kHz and 480kHz frequencies the VM-560 is designed to meet the requirements of those wishing to detect the presence of active power cables and also wishing to trace short ranges. It is particularly useful in helping to detect and trace short distance drop wires. The VM-560 transmitter can supply a very useful 1 watt signal power. Signal application can be either direct connection or, if there is no access point, Induction. With the addition of the optional signal clamp the VM-560 transmitter can be applied to the target line no matter what the situation. The VM-560 is a high frequency option of the VM-550. Its high frequency mode of 480kHz very useful for tracing short drops that are not grounded. Additionally it will help in those difficult situations where buried cast iron pipes have corroded resulting in joints that are resistance. The high frequency VM-560 will jump these joints helping to energize greater lengths of pipe. Direct Connection Leads are used to apply the transmitters signal onto the targeted pipe or cable. The leads consist of a plug, which plugs into the transmitter and a red "hot" lead and a black "ground" lead. Direct connection leads are fitted with various size and types of insulated clips for different applications. Telco Clip version is suitable for telephone cable where the user cannot access the sheath of the cable. The "bed of nails" part of this clip can be clamped onto a cable breaking the insulation allowing contact with the sheath.